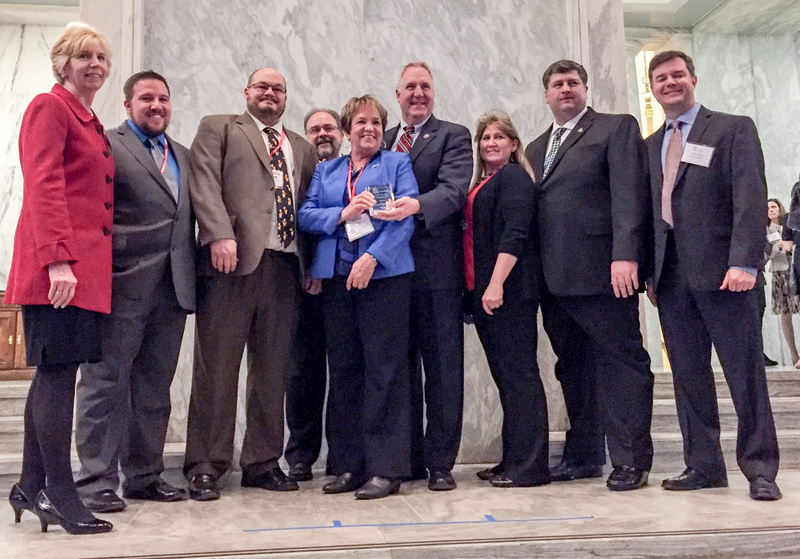 Washington, DC, February 23, 2016	(Newswire.com) - On Tuesday, February 23, 2016, the NG9-1-1 Institute, joined by the 9-1-1 Education Foundation and in cooperation with the Industry Council for Emergency Response Technologies (iCERT), hosted the 13th Annual NG9-1-1 Institute Honor Awards Reception to honor heroes and leaders in the 9-1-1 field. The NG9-1-1 Institute Honor Awards Reception is a widely attended public event. Members of the Congressional NG9-1-1 Caucus, members of Congress and their staffs, federal agency staff, members of the public safety community, public safety vendors, and members of the general public are invited to attend. "It is an honor to recognize the work, leadership and dedication of the amazing individuals being recognized at the 9-1-1 Honor Awards reception," Mary Boyd, President of the NG9-1-1 Institute explained after the award ceremony. "They literally make a difference in someone's life every day." Hitech Systems, Inc. representative Holly Blanks, Director of International Business Development and Marketing, was invited to attend the awards reception to support the honorees. The Counties of Southern Illinois 9-1-1 (CSI-911) received the award for Outstanding 9-1-1 Call Center/Program for their program to update their centers to be fully NG9-1-1 compatible. "Our project is an example of what forward thinking agencies can accomplish with cooperation and perseverance," stated Ken Smith, Chairman of the Counties of Southern Illinois 9-1-1 Association. CSI-911's program has been an inspiration for the public safety industry and is an example of the goals set by the NG911 NOW Coalition, announced earlier today. According to Blanks, "It is so important that we honor and acknowledge the great strides individuals, local governments, and agencies take toward embracing Next Generation 9-1-1 and other technological advancements." Please contact Holly Blanks, Director of International Business Development at Hitech Systems, Inc., at hblanks@hitech.com if you are interested in learning more about Hitech's support for the NG911 NOW Coalition. ​The NG9-1-1 Institute is a not-for-profit 501(c)(3) organization that works with the Congressional NextGen 9-1-1 Caucus to promote deployment of advanced and effective 9-1-1 and Next Generation 9-1-1 (collectively, NG9-1-1) services throughout the nation. Founded in 2003, the Institute continues to be a valued resource for Members of Congress and their staff.